Beverley Ann Kammer Feder was born in Niagara Falls, New York. As a child she lived in Niagara Falls, Ontario. She received twenty years of ballet training at the Spear School of Ballet Arts and the National Ballet School of Canada. Beverley Ann is married to Dr. H. William Feder and together they have raised three children: Colleen, Kevin, and Cara. They also have four grandchildren: Matthew, Zachary, Kelsey, and Gabriella. Mrs. Feder is the owner and principle instructor of the Feder School of Classical Ballet in Niagara Falls, New York and Ontario. Under the direction of her long-time teacher, Jean Spear, Mrs. Feder earned a Licentiate Teachers Certification in Sarasota Florida. She also has earned an Advanced Certificate in Lillishall, England. In 1994, Mrs. Feder was awarded the distinction of “fellow” of the Imperial Society of Teachers of Dance from London, England. In addition to the numerous accomplishments of Mrs. Feder’s career, she recently presented a demonstration of the Cecchetti Syllabi for a teacher’s training session at Etobicoke in Toronto. Mrs. Feder also teaches for the Cecchetti Day at the National Ballet School in Toronto. Last summer, Mrs. Feder taught the opening class for the Cecchetti Society Summer School in Sarasota Florida. 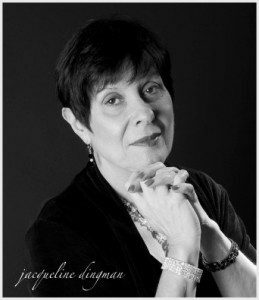 “The Love of Dance – The Beverley Feder Story”, a video written and produced by John Takacs, is a well-deserved tribute to a woman whose life-long dedication to the art of ballet founded the Greater Niagara Ballet Company (formerly known as the Niagara Civic Ballet) over thirty years ago. The production was sponsored by a grant from the Niagara Council of the Arts. Mrs. Feder is grateful for the community support in past years and states that her experience with the Greater Niagara Ballet Company has been extremely rewarding. “I would like to see our company continue to be a leader for quality ballet”.